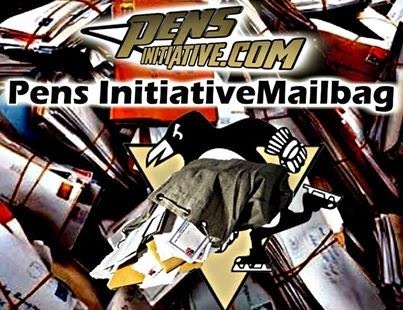 It's time for another edition of the Pens Initiative Mailbag, where we give readers a chance to ask whatever questions they may have regarding Penguins' hockey. Have a question about the way the team is playing? Moves they've made? Future outlook? Whatever it is, contact us at PImailbag@gmail.com and we'll get you an answer as soon as possible. I have no doubt Olli Maatta will receive Calder consideration; after all, the freshman blue liner has dazzled throughout his initial season in Pittsburgh. With regards to stats, his 28 points (as of Monday) rank 11th among all rookies and second among first-year defensemen. Maatta's game, however, consists of much more than the numbers he puts up. After a strong training camp afforded him an opportunity to stick with the Penguins to start the season, Maatta's impeccable play simply wouldn't allow Ray Shero et al to ship the youngster back to London of the OHL. When the Penguins' blue line was ravaged with injuries, Maatta stepped up, anchoring a depleted defensive unit alongside Matt Niskanen. Whatever the coaches asked, no task proved too daunting for the poised rookie. And, as a result, Maatta has emerged as staple on both the penalty kill (1:05/game) and power play (1:01/game). What's more, Maatta's game continues to evolve as the season progresses. While many teenagers eventually wilt under the pressures and rigors of their first NHL campaign, Maatta has grown stronger. To the steady, positionally sound game he always provided in his own end, he added an offensive element, a propensity for contributing to the Pens' attack. The resulting two-way defenseman emerging on the Pittsburgh blue line has both management and fans salivating at the thought of how good Maatta will look in a Pens' sweater for the foreseeable future. All that being said, though, defensemen rarely capture the Calder Trophy. In fact, the last 15 years have witnessed only three rearguards (Tyler Myers in 2010, Barrett Jackman in 2003 and Bryan Berard in1997) earn the award. Simply put, it just doesn't happen all that often. Furthermore, Nathan MacKinnon likely has the 2014 Calder on lockdown, as the Colorado center paces all rookies in goals (22), assists (30) and points (52). He plays a significant role on an Avalanche club charging toward what most would consider a surprise playoff birth and, oh yeah, he just broke some guy named Wayne Gretzky's record for the NHL's longest point streak for an 18-year-old. So, while Maatta's certainly deserves consideration, he may find the award just out of his grasp. It's easy to envision the Pittsburgh youngster as a finalist, but MacKinnon is a virtual slam dunk to claim this year's Calder Trophy. This represents, without a doubt, one of the most polarizing issues surrounding the Penguins. After all, fans and management alike expect this team to at least compete for the Cup on a yearly basis. And, given the recent playoff failures (disasters? ), a growing legion of Pittsburgh supporters consistently proclaim that it's time to part ways with Dan Bylsma, that success will only come with a new coach. Ultimately, though, it doesn't matter what the fans, the media or the "experts" think. The only things that matter are the opinions of Ray Shero and his staff. Moving forward, who do they view as the ideal bench boss, the coach who could potentially secure the club's fourth Stanley Cup? If I were to speculate, I'd say it will come down to the team's performance in the 2014 playoffs. I don't buy that a recent tough stretch could cost Bylsma his job; after all, these aren't the Devils and Lou Lamoriello isn't running the show. Likewise, I'm not convinced it's Stanley Cup or bust, at least not this year. It stands to reason, though, that the proverbial leash rests a little bit shorter and a little bit tighter following several disappointing playoff runs. Consequently, a long, successful playoff run will work wonders in retaining Bylsma's position behind the Pittsburgh bench. Should the Penguins falter in the first round or suffer another humbling exodus from the postseason, though, a change could soon appear on the horizon. The Flyers likely represent Pittsburgh's least favorable match-up, as this past weekend illustrated. For starters, Philadelphia is the only current playoff team that the Pens have posted a losing record against this year (1-3). But it's more than that. The Philly simply knows how get under the skin of their cross-state rival and, as a result, gain a competitive advantage. And, until the Penguins prove that's something they can overcome, an uncertainty will exist as to whether or not they can exorcise the recent demons conjured up by their most hated opponents. Outside of the Flyers, I also envision New Jersey as a formidable adversary for the Pens. Whether or not they ultimately qualify for the postseason remains to be seen but the Devils always play Pittsburgh tough. Their disciplined system and strong defensive play often serve to stifle the Penguins' potent attack, which explains why Sidney Crosby et al have tallied only eight goals against Peter DeBoer's club this year. What's more, New Jersey is the only club in the Eastern Conference that Pittsburgh has failed to register a power play tally against this year. For a club that boasts the circuit's top man advantage, that could prove to be an issue in a seven game series. Oh, and, for what it's worth, the Devils also employ Jaromir Jagr, a ghost from the past who had his hand in eliminating Pittsburgh in consecutive postseason runs. In terms of favorable match-ups, it's hard to go wrong with the Washington Capitals. Unlike the Flyers, the Caps seem to be a rival that brings out the best in the Penguins. Sidney Crosby typically shines, Brooks Orpik and the rest of the defensive unit relish an opportunity to neutralize Alexander Ovechkin and Marc-Andre Fleury always finds a way to come up with a huge save at just the right moment. Perhaps that's why Washington is still searching for the club's first victory against the Pens under Head Coach Adam Oates. Much like with the Capitals, Pittsburgh manhandled the Blue Jackets this year, posting a perfect 4-0 record. While impressive, that number is slightly misleading, as all four contests took place before the Jackets righted the ship, salvaging their season with an 18-9-2 stretch that served to catapult the squad into playoff contention. Still, it's tough to look past the fact the Pens outscored the Jackets 14-6 in only four contests. What's more, Columbus may possess a bright future but, outside of Nathan Horton, the club lacks significant playoff experience. And, that, is something the Penguins could potentially feast on in the first round of the playoffs. Thanks to everyone for their questions. Be sure to check back every Wednesday for another edition of our mailbag.